Our strategic alliances get results. We carefully choose strategic alliances that offer innovative technologies to support and accelerate our solutions. These alliances help to create more robust, cutting-edge results while maximizing value and elevating your business. In the early days of SPR, the internet was just taking off. Our industry was moving toward a productive environment for end users, primarily on desktop. At that time, no one was providing solutions like Microsoft. We immediately knew there was a fit between Microsoft’s capabilities and our expertise, and a long-term partnership was born. Decades later, we’re proud to still be a managed partner of Microsoft. 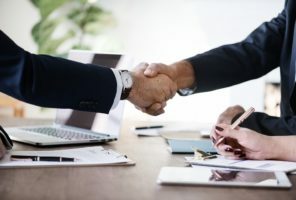 This alliance allows us to maximize cloud-based business solutions, and support productivity and connectivity while reducing infrastructure costs and enhancing business operations. Amazon Web Services (AWS) offers on-demand cloud computing services to individuals, companies, and government organizations. Their cloud-based platform allows customers to experience the benefits of today’s leading-edge technologies without an investment in expensive IT infrastructure. Clients pay for what they use, scale platforms up or down as necessary, and do it safely with Amazon’s cyber security. As a proud member of the Amazon Partner Network (APN), SPR uses the platform to build cutting-edge cloud solutions that significantly reduce IT spend and help our clients focus on their business and the needs of their customers. Nintex provides an industry leading set of business process automation, collaboration, and analytics tools that integrate seamlessly with SharePoint, Office 365, and other cloud solutions. SPR partners closely with Nintex to help deliver solutions that not only meet clients’ current needs but also enable them to anticipate and meet future needs. SPR is an expert in all Nintex-powered capabilities, including installations, building workflows, providing support, troubleshooting, and delivering customized training. Databricks Unified Analytics Platform unifies data science and engineering across the machine learning lifecycle from data preparation to experimentation and deployment of ML applications. As a premier partner, SPR implements Databricks machine learning models and migrates data from Spark and Hive on Hadoop. SPR is exicted about Databricks’ development of open source framework, MLflow, as it will help manage the end-to-end machine learning lifecycle in a standard, agnostic way. Snowflake is a modern data warehouse platform built to take full advantage of cloud capabilities and enable clients to focus on what is important – working with their data without limitations. Its patented multi-cluster, shared data architecture provides the unique ability to support large volumes of structured and semi-structured data, time-dependent concurrent workloads, and variable user demand. SPR helps companies design modern, highly-scalable data warehouses that take advantage of Snowflake’s capability to integrate with more than two dozen ETL tools. Talend is the market leading enterprise data integration software vendor. Through our partnership with Talend, SPR leverages the Talend’s enterprise solutions for big data integration and data management to create efficient and scalable data ingestion, data management and data quality for our clients so they can focus on the business problem. SPR has deployed Talend solutions to create an ingestion pipeline running in a cloud environment to populate a data warehouse with actionable data. Doculabs is a premier consultancy in the enterprise content management (ECM) market, with clients that include most of the organizations in the Fortune 100 and more than 30 percent of the Fortune 50. As a team, SPR and Doculabs helps enterprises modernize their ECM system with strategy, roadmap, information architecture, solution selection, solution implementation, governance and adoption. We can help customers maximize the value of their information assets and realize the business benefits that effective deployment of ECM technology can bring. CDW professional services has partnered with SPR to help customers modernize and transform their business operations. With complementary capabilities, our joint team is able to help customers with advanced solutions including Industrial IoT, Advanced Analytics, AI, DevOps using platforms such as O365 and Azure. Have questions about our strategic alliances?